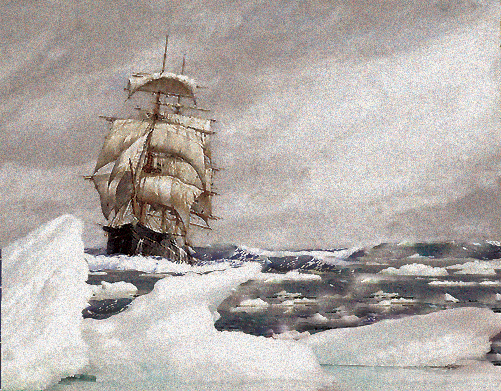 150 people were aboard the packet ship John Rutledge when it smashed into an iceberg in February 1856. Many made it into the lifeboats; only one would survive. In this excerpt from Brian Murphy’s new book, Adrift, we join the crew and passengers as they realize they are going to have to abandon ship in the wintery North Atlantic. 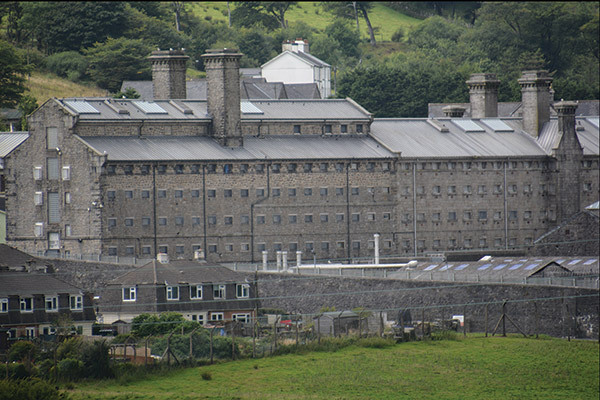 French and American sailors find misery as prisoners of war in the prison ships and later in the granite prison built on Dartmoor. 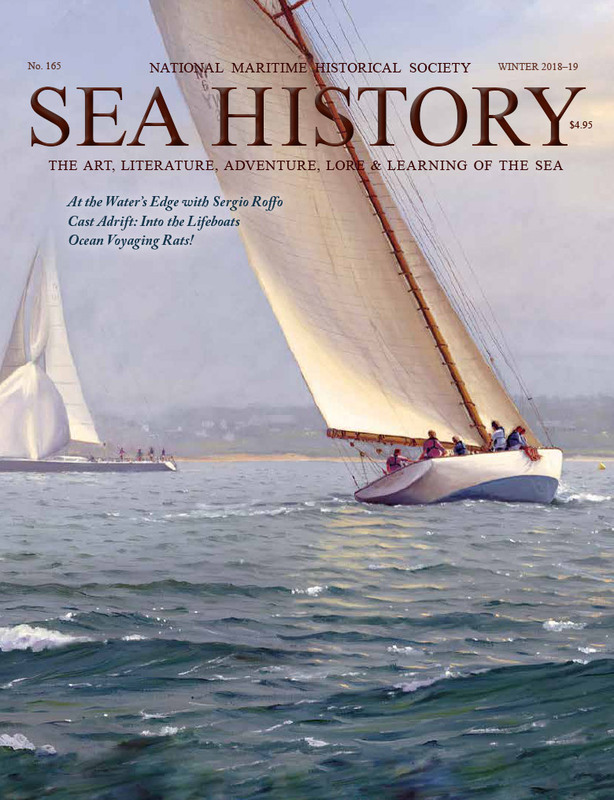 A routine inquiry into a 19th-century ship led Chesapeake Bay Maritime Museum curator Jenifer Dolde to a painting in the museum’s collections, as well as a buried chapter in that ship’s past. The maritime world lost two great leaders—and NMHS lost two dear friends—in August. We remember them here, and reflect on their legacies. A master of capturing the golden glow at twilight, especially along the littoral zone, award-winning artist Sergio Roffo strives to convey the elusive essence of nature and the scenes you find along the water’s edge. 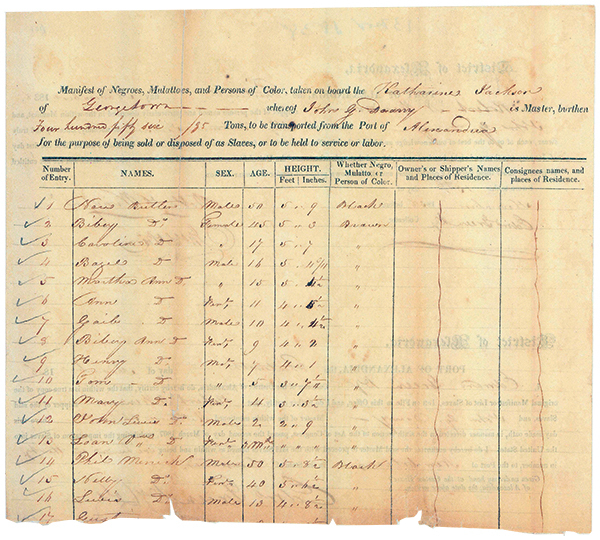 Among the casualties wrought by Hurricane Michael along the Florida Panhandle this fall was the historic schooner Governor Stone, a veteran of the Gulf Coast oyster trade. 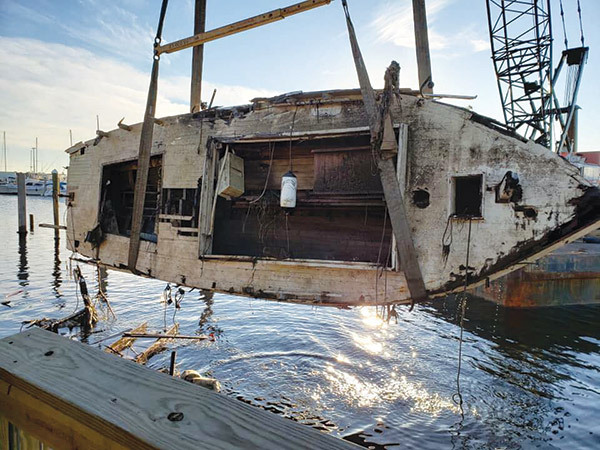 Her stewards are determined to repair and restore her and get her sailing again along the Gulf Coast. Lighthouses have their admirers, and many fantasize about what a plum job it would be to man a lighthouse—waterfront living at its finest. For those who built and manned the light tower on a rocky ledge miles off the coast of Wales, the experience was anything but idyllic.